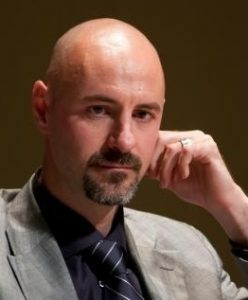 Federico Lega is Director of the International Master of Healthcare Management, Economics, and Policy (MIHMEP) — a one-year program taught in English at the Bocconi School of Management in Milan, Italy. Lega has also taught healthcare management in programs in Switzerland, Austria, Germany, the U.K., the U.S., the UAE and Iran. 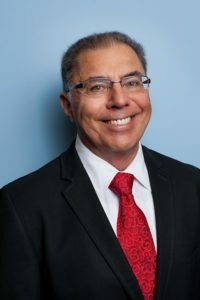 Joseph Restuccia is Professor of Healthcare and Operations Management at the Questrom School of Business department of Operations and Technology Management at Boston University. He has been a visiting professor at MIHMEP every year since 2003. Lega and Restuccia spoke with GHCi’s Stefanie Rubin about how the Bocconi education program prepares a diverse set of students for healthcare management challenges around the world. How does the program teach from an international point of view? Lega: We present and discuss cases drawn from different countries, such as the U.S., the U.K., the Netherlands and Spain. Additionally, we have an international faculty with professors coming from the U.K., the U.S., Germany, France and Spain, giving students even more international perspective. The innovations we choose to introduce in the curriculum are influenced by our advisory board, which is composed of top managers of healthcare industries and hospitals. Last year we discussed a case about the streamlining of emergency room operations and comparing what was done at Karolinska in Sweden with what was done at at the teaching hospital of Oslo, U.K. hospitals, Madrid teaching hospitals, and some Italian hospitals. Restuccia: For the course I teach in quality and operation management in healthcare, I use mostly U.S.-based cases, though not exclusively. That lets students learn about the benefits and detriments of the U.S. healthcare system in comparison to existing systems in their own countries. Because some students are coming from less-developed countries in Africa, the Middle East and Asia, I try to present the cases from the perspective of their own healthcare systems. Lega: Currently MIHMEP has 32 students, made up of 25 different nationalities. They come from very different professional and academic backgrounds, too, such as global health, philosophy and social sciences. The average ages of students are 28-29, with 2-3 years of work experience. Many of our students pursue this program because of their and their families’ personal experiences in their healthcare system — they want to understand how to develop a better healthcare system. People coming from third-world countries often go into global health because they want to make a difference. Many of these global-health students are African, Asian and South American. Some of them see this MBA as a way to go beyond being in a medical lab. This program differs from an ordinary MBA in that it enables students to become more global as they gain experience, to go from a life in one country and then move and adapt to life in another one. Our faculty goes through a day and a half of training in diversity management, where they learn how to manage a class in which students are coming from a wide array of places like Japan, Africa and the Middle East. Restuccia: Some 30 to 40 percent of MIHMEP students come from a medical background as clinicians. In Boston University’s public-health program only 10 to 15 percent of students are clinicians. Where do students end up after the program? Lega: Quite a few healthcare institutions are interested in our graduates. We have contacts with many of the big players in the healthcare sector in Europe, including Capio and Karolinska based in Sweden, Generale de Sante based in France, Lovanio based in Belgium, and many others. We help students find a job, by showing them how to adapt their CV and letter of recommendation to a country’s specific standards and culture, whether it’s the Middle East or East Asia. We provide them with cultural direction and expectations, to make sure there’s a good fit between the student and the employer. Most of our students want to stay in Europe, but many go elsewhere. The U.S. used to be the most popular alternative, and some still go there, but now there’s an increase in demand for Turkey and the Middle East, because they have become new frontiers of healthcare management. China is also becoming a leader in healthcare management and will increasingly become more popular for students. Western Asia and Eastern Europe, including Bulgaria and Romania, are all transforming their management, and are attracting more of our students. Other students want to stay in Italy, where the private healthcare sector is very well developed. Italy also has a strong medical tourism industry, and our medical device industry is considered one of the top in the European market. However, there is still a lot of opportunity to develop new approaches to make our system more sustainable and to allow it to cope with chronic disease. With 20 regions in Italy, the policy side is quite an interesting environment as well, with a lot of interest in improving policy. Italy’s hospitals are also building up the medical director role. It’s now a mandatory position at hospitals, and there are already more than 300 of them in the country. What management tracks do students follow? Lega: Forty percent of our students are in pharma and medical technology, while 30 to 35 percent are in healthcare management. Half of the healthcare management students will try to pursue a career in medical management and the other half in planning strategy. The last 20 to 25 percent will go into global health. I think pharma and medical technology are the most popular because many of our students come from biology and pharmaceutical research. What also makes those tracks attractive is that they have more of an international element to them than healthcare management, which tends to be more locked up in a particular country. But that’s changing, as the healthcare industry is becoming transnational. I see healthcare management as the most interesting track, because it can lead to many different types of positions, including consulting and policy-making, though you can do that in pharma, too. In the near future I see healthcare management becoming increasingly popular as many health systems bring in more private healthcare and become more professionally managed. We’ve seen the number of students interested in the track grow by about 10 to 15 percent a year. And I only see demand growing. How does the program encourage innovation? Lega: The healthcare environment is becoming more complex. Even global health requires new approaches, because philanthropy and volunteering has proven limited. We need professional managers to develop new strategies that help connect people to institutions and different countries. MIHMEP provides students with experts in soft skills as well as a personal coach who they meet with three times during the year. Our goal is to help students develop emotional intelligence, so they are able to read between the lines. Most of their futures will be dependent on understanding the context of their work. While they will become experts in their respective fields, they also must become reflective practitioners. Restuccia: Emotional intelligence is important. Managing people is a big part of healthcare, particularly because you have a lot of different professions and specialities. What you want to do is have students work collaboratively with the patient at the center and not work in silos, so that they are not just interested in patient care within a single unit. The patient goes through the entire institution, seeing doctors, nurses, radiologists and specialists in different medical areas. In case-study discussions, I try to help them recognize these types of relationships in order to create a patient-centered environment. They need to see this entire picture, instead of only what they see in their specific work environment. Stefanie Rubin is a journalism intern based in Boston, Massachusetts. global health, Healthcare Education, international, Italy, Milan, pharma, Q&A, spotlight featured, U.S.
Are Central and Eastern Europe Primed for Healthcare Investment?